Towson University students Ameena Ruffin and Korey Johnson share their thoughts on their historic win and the legacy they hope to leave behind. 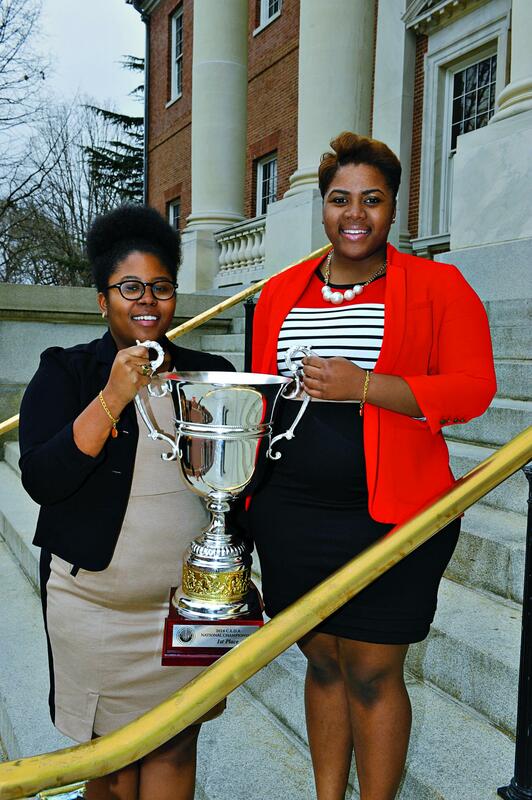 Ameena Ruffin, 21, and Korey Johnson, 19, went from passionately arguing current events on campus to becoming the first Black women ever to win a national debate championship. This past March, the Towson University students triumphed against 169 other teams in the country’s ultimate war of words, the Cross Examination Debate Association Championship. “Many smart African-American women debaters came before us, and to be representing all that hard work was special for me,” added Johnson who credited their win to one of those Black women in particular — the duo’s coach Amber Kelsie. “She debated at Dartmouth and passed her survival strategies to us,” said Johnson. “Personally I joined because being able to use my knowledge and say what’s on my mind is important for me. Debating makes me feel as though I have a voice,” said Johnson. It’s their voice that these great debators hope to leave as their legacy. “We want people to use our debates and the research within them to orient themselves toward academic spaces. We want others to be able to use our scholarship to build upon their own,” said Ruffin. Read more about Ruffin and Johnson in the August issue of ESSENCE Magazine.